Shoehorns are the tools that help to slide the foot into the shoe without crushing the back. Men used to elite gatherings or corporate meetings generally like to have their attire crease-less. Shoehorn hence becomes one essential tool in their wardrobes. Brand shaze makes this tool fashionable and luxurious with its products. 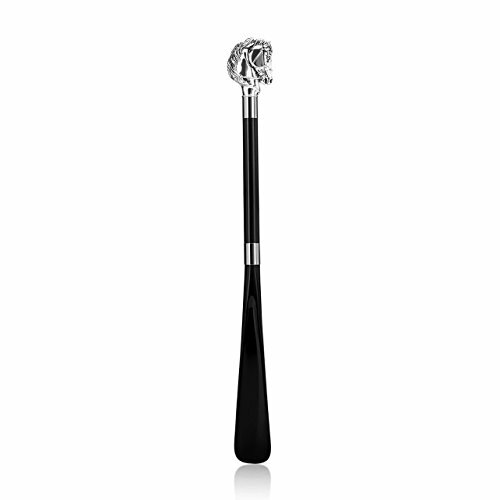 The shaze silver-plated Horse Shoehorn has been made in resin and electroformed silver. The motif of the powerful and youthful horse makes this piece a style statement in itself. Own it or gift it, it is sure to please the owner.